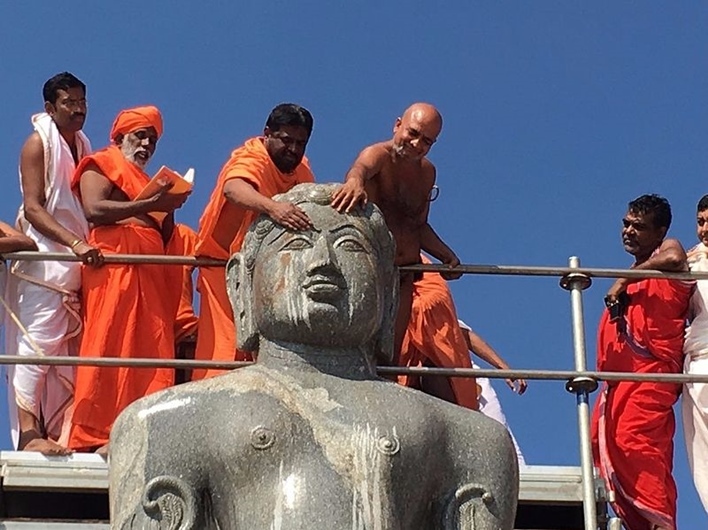 If you are planning to visit Shravanabelagola anytime soon, make it a point to be there during the grand event in February 2018. After all, you don’t get a chance to be a part of such celebrations every year. So, why give up the chance to be a part of something so unique? 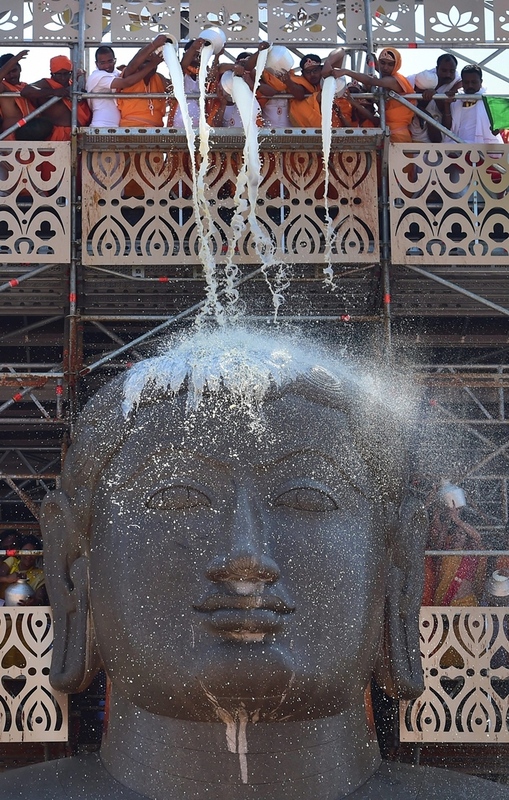 Shravanabelagola: Devotees pour milk on the 58 feet monolithic statue of Gomateshwara or Lord Bahubali on the second day of the 88th Mahamasthakabhishek in Shravanabelagola in Hassan district, some 150 km from Bengaluru on Feb 18, 2018. The Mahamasthakabhishek takes place once in 12 years.